This was a magic item store located on a certain street in the city of Axel. Sweeping the ground in front of the store, Moi overheard the dreadful conversation. Stopping Moi hand that was sweeping, Moi turned with a doubtful look to inspect the situation. The two who met Moi eyes turned their faces away. As the discussion continued, Moi could no longer bear the two of them that snuck glimpses in Moi direction. Moi said to the goddess who sat with her hands wrapped around her knees and the store owner with a water bucket in her hand. –– Just a few days ago. Perhaps she had too much free time, but the goddess right here had been coming every day to play around with our idiotic store owner. If we were to make use of the special trait of immortality, then purchasing land which would surely rise in price overtime was actually a good investment. However as the two of them had not considered budgeting, interest, or taxes, they again produced more red digits. Walking to the side of the two who continued their weird little drama, Moi picked up the bucket beside Wiz’s feet and emptied it over the goddess’ head. To the goddess who continued to act normally after water was poured over her head, Moi said. While just touching the water would purify it, the goddess had a bodily trait that would convert water that she touched for long periods of time into holy water. ‘Use that power to create holy water with special effects to undead monsters’ – that was the strategy suggested by the brat that was this goddess’ guardian. The goddess was in high spirits as she continued to splish-splash around in the bucket. Moi wanted to say ‘what happened to your little drama just now’, but Moi no longer had any interest to stay in the store, and left her alone. Said Moi to Wiz who was drawing water. –– Moving towards the adventurer’s guild. Recently a new business – a consultation center, was opened in a corner of the building. The number of customers was steadily increasing today. There were already people waiting for Moi at the corner of the guild. There are quite a lot of customers today. Although there were occasionally weird requests, combined with the money made from Wiz’s group’s holy water production, we should be able to avoid being in the red this month. As I was pleasingly counting the money, the guild suddenly turned silent. Looking around to figure out what had occurred, Moi found that that everyone’s eyes were focused on the guild entrance. The adventurers of this town seldom stopped for anything. The figure muttered to herself as she walked in. Dressed in a commoner’s clothes and wearing a wide hat, was a girl who appeared to be around 12 to 13 years old. While the girl was dressed in such a way, she did not hide the golden hair and blue eyes that indicated her noble heritage. She curiously and restlessly moved about the interior of the guild. Another girl said as she followed inside. She was another golden-haired blue-eyed lady. She was dressed in a white suit designed for males, with a short sword whose shortness matched her hair. Her visage was the splitting image of a pretty woman in male clothes. Lastly, there was a short-breathed lady that seemed to be a magic user. Her plain attire indicated her common sense. …If the three intended to not draw attention, it was already too late. Moi had the feeling that it would be troublesome to be associated with them. The adventurers seemed to have the same feeling, and quickly averted their gazes. TL Note: Template is a peculiar term that Claire uses for an ‘event of destiny’ or ‘fated encounter’. Said the girl that inspected the interior of the guild with a troubled expression. All the adventurers tried to avoid her gaze. After briefly pausing, the girl tugged on the lady-in-white’s sleeve. Finally coming to the judgment that they did not want to be involved with them, everyone silently returned to where they were. The girl named Alice suddenly shouted. …Although Moi was able to determine who they were talking about. The three of them discussed Moi’s appearance from afar. Then, the lady whom Moi believed was the centerpiece of the group, began to move directly towards Moi. 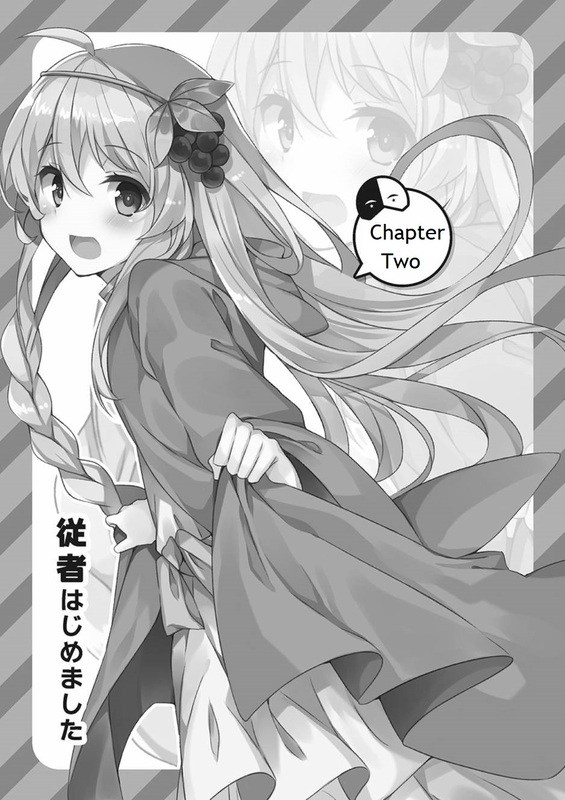 As the two followers hurriedly chased after her, the girl called Alice stood in front of Moi. TL Note: Chirimen is a common fabric used for making kimonos. In the guild which returned to its usual rowdiness. After the lady named Alice introduced herself, these ladies, whom Moi had not so much as seen before, began to ask unreasonable things of Moi. The two companions of Alice prepared to bring her away. Through Moi sight, Moi determined minimal details concerning Alice. Moi, who was curious about Claire’s words, unwittingly saw through the backgrounds of the three…. …All Moi was left with was regret. It would have been better had Moi not done anything at all. If Moi were to meddle in the affairs of people of such status, the store owner and Moi might be able to get by. However, the store – in both material and societal aspects, would surely disappear. From the disputing two, the more mature lady, Rain, said. Moi has never heard of the job ‘Hachibei’, but in any case, Moi – who was often cited as a classy gentleman by the married ladies nearby, would be unable to fulfill the role of a mood-maker. However, in response to my words, Alice – who was debating with Claire, turned to face Moi. As she gazed in hope towards Moi, Alice proceeded to join her hands in a pose of prayer. This pose would easily sway any male who possessed traits of a lolicon, but Moi was different from a certain brat who seemed to attract trouble wherever he was. Before she could finish, Moi had already taken the heavy bag that was brought forth. At the main street of the town of Axel. Claire, who paced several steps behind Alice, continued tirelessly to say such lines. Claire continued to lecture Alice, who had casually handed Moi a considerable amount as a reward. I-In any case, this reeked of sinfulness. As the two continued this conversation, Rain spoke to Moi in a hushed tone. As Moi carelessly responded to the teary-eyed Rain, Alice, who had been walking in front of Moi, explained the details of the request. Towards Alice’s confident speech, Moi was speechless. In response to Rain’s words, Alice let out a surprised cry. Hmm, so it was indeed that tyrannical ruler, the man Moi brought to hell the other day. Alice begun to shake where she stood. Even as she was lectured by Claire and Rain, Alice did not retreat one step. It seemed a complicated situation had emerged from behind Moi. Due to what seemed to be her strong beliefs regarding ‘Goroukou’, Alice strongly refused Moi statement. TL note: Store is pronounced as ‘donya’. When separated ‘don’ stands for bowl, while ‘ya’ stands for house’ (specialized store). E.g. Katsudonya specializes in pork bowls. In response to Moi question, the three people began to silently discuss amongst one another. Vigorously turning to face Moi, Alice changed the topic of discussion. Rain and Claire released a long sigh. Moi master-for-a-day happily walked ahead. –– The town of beginners, Axel. With its title, the town was famous for its good public security. As should be expected of its title, there are police in this town, and it would be unthinkable for any idiot to commit crimes at the peak of noon. Having roamed the town for two hours, and having not discovered any incidents, Alice inquired with a troubled expression. As Moi continued to walk alongside Alice, the two who trailed behind us began to discuss. Ignoring the two who said disrespectful things about Moi, who was known as the mystery gentleman in this town, Alice gazed with longing curiosity at the stores we passed. After hearing Moi explanation, the two who followed behind us began to discuss noisily. To think that they would not know about Neriod. It seemed that not only Alice, but even the lady named Claire had lived life sheltered from the outside world as well. The two, lacking the basic knowledge of commoners, gave the impression that they were daughters of nobility. On the other hand, the lady named Rain seemed rather down-to-earth, and had an abundance of common knowledge. However, as a result, she seemed to have undergone many hardships. As Alice looked at the stores around us, she displayed a growing curiosity. Having overheard the discussion between Alice and Moi from a short distance away, Claire approached and asked. As Moi explained with a tone of ‘How could you not know this?’, Alice’s curiosity seemed to deepen. 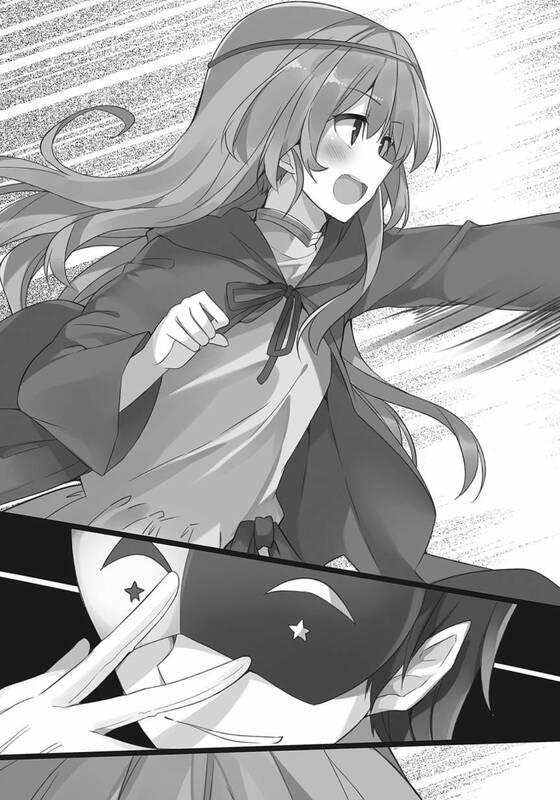 Covering her face that turned red with embarrassment, Alice released a frustrated groan. Moi decided to continue our search through the town. From there, we continued to search the town even more thoroughly, but no special incidents occurred. While we had come across a delinquent harassing and soliciting females, Claire quickly caught the person and handed him to the police. The peace in Axel was only further confirmed. Despite her outlandish mood earlier, Alice lost her spirit. Anyhow, it seemed that her time in this town was limited. Moi heard that for the sake of this one outing, she had greatly increased her efforts in her daily studies. That was how much she wanted to meet her brother in this town. Though Moi was surprised that there was someone of that status living in this town. The conversation occurred between the two. Having said that, Alice’s shoulders dropped and continued to walk dejectedly. Moi decided to say the only thing that Moi could think of. For some reason, Alice flusteredly rejected Moi suggestion. Hmph, although Alice rejected Moi for some reason, the other two seemed to entertain the idea. A while ago, the adventurer’s guild requested Moi to foretell the whereabouts of the thieves, however, due to a blinding light that obstructed Moi eye, Moi gave up on the request. It has been a long time since that incident. Given the circumstances, should I try to foretell the true form of the thieves one more time? When Alice was trying to explain herself. The ground started to shake, and the sound of an explosion can be heard in the distance. In contrast the three who responded tensely, the passersby acted as though this incident was a regular occurrence. Alice inquired the complacent reaction of her surroundings. “Hachibei, despite the explosion just now, the people of this town do not seem to be distressed. What happened? Do you know anything about it? 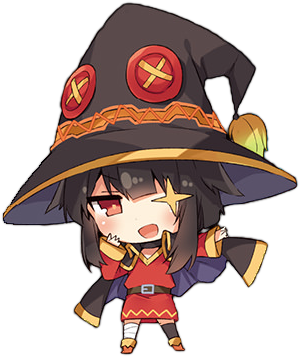 Surely, that was the sound of a certain Crimson Demon releasing explosion magic. Only Rain alone seemed to protest what Moi said. Just then, Moi heard a good voice. One of the duke’s followers pointed to an obese man to indicate his identity. Seated in a palanquin was a man who, together with a group of knights that acted as bodyguards, created an oppressive atmosphere. If Moi were to guess, the incident seemed to involve a woman. The woman said with a contorted expression. She was a female adventurer that Moi would occasionally see at the guild. The follower couldn’t comprehend why the woman would reject his master, and revealed a surprised expression. In response to the words of the passionate follower, the female adventurer merely inquired. The follower raised his chest in pride. The female adventurer proceeded to spit on the floor, and quickly turned to leave. Glancing at the follower who stood still, she proudly said. She then spit on the floor again, and left with a bad mood. Though this was the town of beginner adventurers, for some reason, there were many chances to encounter high bounty targets, and as a result, a majority of the adventurers here were rather wealthy. Unable to accept her disrespectful attitude, the follower who was frozen in place began to move once again. The follower solicited a passing adventurer, and pressured him with questions. The adventurer, who was being interrogated, brushed the follower off and continued on his way. To the people living in this town, the words of a noble didn’t have much of an effect. That was because a certain lady of a major noble family had caused the might of the noble title to plummet. Now, the adventurers of this town looked down on nobility instead. Moi heard a couple of troubled voices from behind Moi. The first was the voice of Claire, who steadily observed the situation unfold. The second was the voice of Rain, who seemed to be dumbfounded by the sudden development. The three people glanced backward at Moi with confused expressions. Then, the obese noble Aurip disembarked the palanquin, and shoved aside the follower who had wordlessly frozen in place. As Aurip shouted, he glared at the nearby adventurers. Having heard Aurip’s words, Rain lifted her staff and said. A large group of knights suddenly appeared. They came from the direction of the Dustiness house, where they had been questioned. Due to the sudden increase in their opponent’s numbers, Claire and Rain stopped to observe the situation. As Alice’s bodyguards, they seemed to have made the judgment that it would be dangerous to fight this many people. Hearing what the knight said, Aurip’s face turned pale, and he hurriedly embarked the palanquin. The passing adventurers that heard the conversation casually blocked the road. Though there were more than a dozen knights facing them, the adventurers did not intend to fight in the slightest. Instead, the adventurers forcefully began to chat amongst one another. Despite their odd behavior, it was evident that the adventurers were opposing Aurip. Though they were doubtful of Aurip’s order, the knights began to chant magic. Seeing the situation, Alice’s face went pale. Alice prepared to rush out, but Claire held her back. In response to her followers’ words, Alice revealed a remorseful expression. In a disciplined manner, she heeded her follower’s warnings. It seemed that the usual Alice was not this indulgent. Her sad gaze was directed towards the knights, who finished their chants and fired magic into the sky. Wearing an expressing that displayed her regret for being so helpless in this situation, the outrageous acts of the knights were burned into her memory. ––Well, contrary to the severe atmosphere that surrounded the three, the actual situation was quite different. Although magic was casted in their direction, the adventurers weren’t fazed at all. Next to the adventurers, the passersby didn’t even bother to look at the fireballs flying past them, and moved through the crowd and continued on their way. Well, this much was expected. Rain, who lacked the common sense of this town, seemed to be flustered by the situation, but to the people of this town who were used to a young lady that released explosion magic in town, an incident of this extent wasn’t anything notable. Rain, the only one blindsided to the common sense of this town, began to make a ruckus. Then, the knights drew their swords and prepared to display their true strength. It seemed that their patience had been worn thin. Seeing the situation unfold, Alice looked as if she was about to cry. In response to the two’s words, Alice gripped her small hands in a tight fist. She muttered with her head down. To Moi words, Alice quickly raised her head. With a hint of expectation in her eyes, she looked towards Claire and Rain. Faced with Alice in a begging posture and the knights that released a murderous intent, Moi barely brushed between the two bodyguards and moved to the front. Moi, who was a devil, was not performing an act of goodwill. Moi, who was a devil, did not sympathize with this master-for-a-day. Hmm, yes. Rather, Moi thought that this influential master would give Moi a bonus if Moi played a more active role. Not once had Moi doubted that thought. As this small master’s subordinate, Moi somehow felt worked up. This was undoubtedly the aptitude of a king. Moi heard that royalty carries powerful skills and were endowed with great talent, so perhaps this lady had some sort of special skill. Surely, in the future, this lady will become a great politician. The two followers tried to stop Moi. However, as if she could understand Moi power, Alice’s eyes glittered radiantly as she said. In an alley away from the main street, Claire, whose face was red and dripping in sweat, sat on the floor. Rain, whose face was had instead turned a deathly pale, dropped on all fours and tried to catch her breath. It was then that Alice, the only one who had not broken a sweat, took a short breath and smiled from the bottom of her heart. Hmpf, it seems that Moi had flawlessly completed the request. Moi had lived up to the title of the mood-making fool. Although we were unable to announce her true identity due to the urgency of our escape, having done this much should have already been enough. As Moi looked at our surroundings, Moi said to Alice. Shouted Claire, whose face seemed to turn redder. Moi, who was considering the special reward had let loose, and seemed to have traumatized these two as a result. As she said that, Claire shivered. Rain let out a long sigh. Hearing the opinion of the two, Moi reflected on Moi actions. It seemed that Moi had truly gone too far. However, in truth, the announcement of her identity carried no meaning. That man from a noble family did not react to Moi who was on a rampage. Rather, when he had seen the faces of Alice and Claire, his face became a pale visage and his body began to uncontrollably tremble in terror. No matter how Moi looked at it, it was clear that the noble had figured out Alice’s true identity. If his quarrel with the royal family were to be known, that noble would be executed without trial. In any case, if it was a only dispute of this extent, then a certain impatient noble lady would quickly dismiss it. Moi did not think that anymore disturbances would occur. To start with, that man was trying to escape his hearing, then Moi might be able to anticipate a suitable reward for Moi assistance in this incident. Though she was lecturing Alice, Claire’s face only continued to redden. Despite the two’s suggestions, Alice radiant smile was unfazed. With nothing specific to do, we openly roamed the streets. Afraid of being captured by the police, Claire and Rain looked around in distress. That person was something like a street performer. For a professional entertainer, that kind of trick wasn’t much. At the store where Moi work, the entertainer that often comes to play around can summon a rookie killer from a small bag. As Alice was excited, she displayed an ever-growing curiosity towards her surroundings. Without care for what the other two said, Alice happily ran around the streets while pulling Moi hand along. ‘Hurry, hurry’ she would say. Well, there was no reason to not enjoy this. Today was the opening of the annual summer festival. 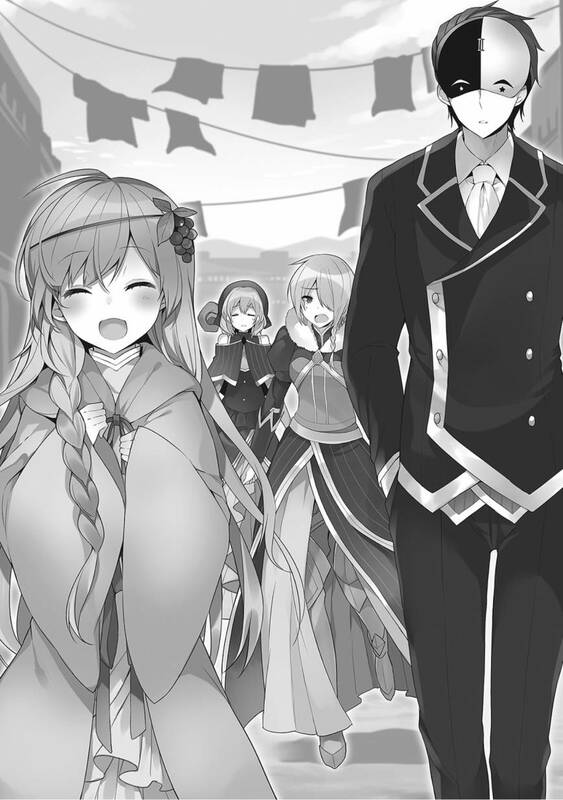 Though, this small festival was merely a prelude to that detestable Eris Thanksgiving Festival. As if this was the first time she had seen roadside stalls, Alice’s eyes shone with energy as she inquired about this and that. Alice gazed at Moi with an excited expression befitting of her age. A brilliant smile surfaced from Alice, and her eyes widened in surprise. Saying that, Alice laughed softly. The sky had already turned dark. It should be time for them to return home. In response to Claire’s words, Rain, who lacked common sense, continued to complain. “Are you talking about me!? Compared to this town, I have far more common sense! Back in the capital, I was troubled because I did not draw any attention at all! I don’t even know what to feel anymore, everything is so convoluted! Ignoring Rain, who was being noisy, Alice looked towards Moi and said. The two followers at her side lightly bowed in thanks. Also, you are welcome at Wiz’s magic item store. Moi put Moi hand on the little master’s head, and stopped Alice from saying anymore. To Moi words, Alice smiled once more. It was a bow that was truly befitting of nobility. To those two, Moi said. Moi returned a bow that only nobles knew. Seeing that gesture, the two’s eyes widened. While Moi was considering how to respond to Claire. Rain inquired in a small voice. Now then, how should Moi respond? Despite Moi appearance, Moi was the duke of hell. Having said that, Moi released an unrepressed laugh. Claire and Rain audibly gulped. Alice seemed slightly anxious about the conversation, and decided to ask. But Moi lightly shook Moi head. To Moi who had admirably played the fool. The princess that called herself Alice, showed a brilliant smile befitting of her age. ––Under the starry sky, Moi hurriedly returned to the magic item store. Today Moi earned a fortune. There was the initial amount, however, Moi had performed the role of the Hachibei beyond expectation, and received a special bonus. With this much money, even if the troublesome store owner managed to punch out more red digits, Moi would not have to worry about having nothing left. As expected, that lady would have a bright future. Not only did she complement Moi mask, but if there would be a day when Moi current livelihood faded, Moi could even go there to play. …That said, Moi’s wish was to help this undependable friend, and one day have her construct a great dungeon for Moi. Having decided to tell the house-sitting store owner of Moi’s adventure today, Moi opened the door to the magic item store. Everything around Moi ceased to move. For some reason, Wiz­ appeared from the store, carrying a mysterious pile of rubble. What has happened in Moi absence? Then, she noticed Moi who had stood there dumbfounded. Wiz, who was carrying a pile of garbage, slowly retreated from Moi. Calm down, just now, didn’t Moi pledge to help this undependable friend? Though Moi wanted to chase after Alice’s group at this very moment, it would not be too late to do so after hearing her explanation. Wiz who had an impatient expression, said something out of Moi expectations. Though Moi had doubts at first, that strategy had come from that little brat. If it came from the brat that specialized in earning money, then this profit was nothing rare. Moi words caused Wiz to shake violently. She then pointed deeper into the store. Having heard this much, Moi turned to chase after Alice and plead her to hire Moi. Ah but only in a brief encounter kinda way. Can’t have too many girl next door types. Otherwise they’d just get lost in the shuffle. Yep moi eyes doth see the truth of the tsundere filled mask that is Vanir. Onwards Hachibei to glory!